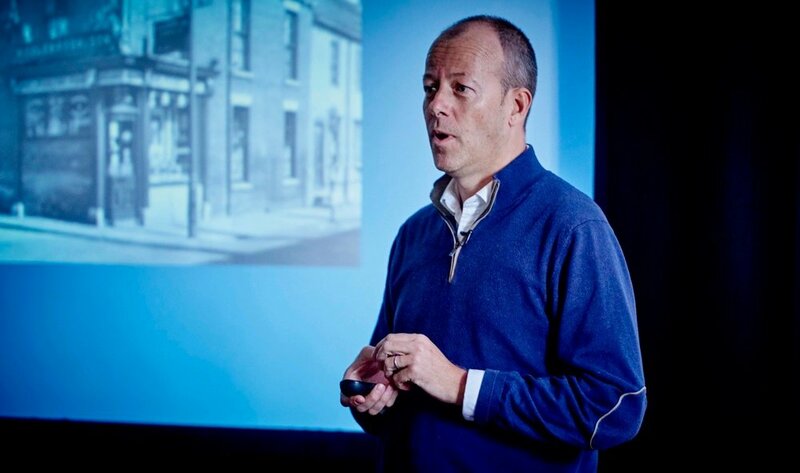 Richard Askam has become a bell weather speaker in the global print industry and a 'go-to' person for insight and independent expertise for print innovation. Richard has become known through his innovative work with Coke, but added to this he took a traditional family business in the wine trade and successfully evolved it to become an innovative leader in its field. At last year’s LiT he was voted joint top speaker with Simon Biltcliffe and in advance of his session this year in Cambridge we asked him a few questions about his presentation, his business experience, his love of performing, and storytelling. So what is your background – how did you learn about business? My father established a successful wine trade business and my education was that I was sent around the world to work in various parts of the wine business. I had a period of time working with other people businesses in all the departments which gave me a great grounding. His logic was that I would always know how to do it so would be well equipped to run the business in the future. It was a great way to learn and open my mind to business, and the world. So let’s start with Print Island as this is in the title of your presentation at LiT18. Tell me more about this? Well ‘Adventures on Print Island’ was built primarily on the premise that if the print industry is not careful, its insular nature and the fact that it rarely travels outside means the industry doesn’t notice what is happening in the wider world. Print needs to tell a better story generally and it needs to utilise the value of storytelling to inspire a response. And I agree that it is about an interpretation of a good story, and the bare facts alone are not really the meat of a good story. Facts don’t move people – your story will need to elicit some kind of reaction or response so it has to trigger an emotion, and you just can’t do this through logic alone. So do you think print does not tell a good story? It has a great story! But I am not sure it is that effective at telling it. Sometimes I wonder if we collectively dwell too much on the past. Instead, we should be thinking and talking about the future. This is my focus and I am convinced we need to keep it fresh. I recently spoke with Gerald Ratner as he was presenting at the same event as me. I mentioned I would be adapting the content to suit the audience and he was surprised, as he only delivers the same content each time! My view is you have to keep it fresh for yourself as much as the audience to keep that spring in your step, with arresting content and at a positive pace. Would you say your experience in business, and in life has been about storytelling? I suppose it has. I have ‘storified’(if that is a word) my business as this is how I like to give a narrative. I communicate using these stories and tend to create this in an anecdotal form. I guess this is why I receive good feedback as I always try to make the presentation entertaining. This is a priority. So as an external commentator, I need to give something different. It is like throwing a pebble in a pond from a different direction and seeing what new kind of pattern it makes. And it does work, as for example, the other day, someone came up to me after a presentation and told me that I had just told them everything that they already knew but in a way, they hadn’t thought of before. Sometimes, a Google Earth view of an industry gives you a better vantage point. Yes, I presented the ‘Loneliness of short distance runner’ at a TEDx event at Lincoln University. One of TED’s main purposes is to be a platform for telling stories, and most certainly not a promotional tool. In my speech, I talked about how my working life changed, and how I addressed that by anchoring my day around running. So it is called ‘The loneliness of the short distance runner’ as my wife challenged me to run a mile every day for 30 days as an anchor to give me a structure that was seemingly missing from my life. This presentation really is this story. The TED Talk really was drawn from my thoughts during the miles, talking about my working life, but talking about how positive change can be if you accept it and embrace it. I hope that this story helps me to help other people to look at their world sympathetically and empathetically. Working life is tough, but it is what you do to make the rest of your working life less tough. There is no such thing as perfection, but what there is for all should be better, it should improve. It has taken 2.5 years to get used to the fact that sometimes doing nothing is OK if you are a freelancer! I think that if you intentionally‘de-institutionalise’ your working life, you then highlight the things you are really effective at and you get to really focus on it optimising your happiness in the process. You simply don’t get to this by doing 9-5 Monday to Friday – this really is the old industrial model. The biggest problem for all of us right now in the print and manufacturing industries is this history. How we used to do things – and we are measuring things by how it used to be done and it is simply outdated. Hopefully, I feel I have broken through the need for those walls and de-cluttered my world. I am always quite careful with how I say things. I know I am not necessarily cleverer than others as I think like this. I have the same woes as everyone has – but if you recognise that change can allow ‘better’ to happen then you should strive for it. So how did you arrive at this point? I guess it is a journey or an adventure and we need to accept in this journey that periods of bleak introspection are important, but as you unravel all the thoughts and processes, the things you remember are the positive things you recall. You don’t have to focus on the negative low. For example, the central plank of gifting is the emotional response you feel because you have given or received something that you really like – not necessarily the actual thing. Some people hang onto negative things that may have happened in the past when there is no point. Someone said to me recently at an event in New York, “Revenge is like drinking poison, and expecting the other person to die.”It is not a good place to be. So bleak introspection needs to give way to optimism? Yes, and this is a learned behaviour, everyone can think like this. Personally, I have tried myself to think positively about things but I describe myself as a tidal optimist- when the tide is in I am positive– but on other days when the tide is out then I worry. You may as well try to be positive even when this is counter-intuitive. So would you suggest that optimism is a key part of leading and being an entrepreneur? Yes it is. One of the things I talk about is how important the‘doers’ are. These people do the things the other people see. The people who are 'seers' and 'doers' are the billionaires like James Dyson. We have all said ‘Why didn’t I think of that’ I don’t put myself in either camp really but I am able to see that these exist. Some people do stuff others can’t be bothered to and they make a difference as a result. You are presenting at LiT on 28th June in Cambridge, and then you head down to Addlestone for the Duplo Summer Fest to perform in your band, how important is this to you? Really important. I am a performer and a singer, and everything is interlinked. Up until 1999 - the year before I got married, I had never sung before, even though I have always been able to sing. I always did a good Harry Connick Jr. When I got ‘merry’ at parties, ‘people liked me doing ‘it has to be you’. On the day we got married, my sister just started clicking her fingers and I sang it to my wife. Later on my brother in law, a guitarist suggested we form a band and we have been playing ever since. For me, it is the truest form of performance, where you cannot be anywhere else, or think of anything else. People will get the audience to listen, you need to think of your audience. I genuinely love being on the stage – I can ad lib, this makes it fluid and live. The confidence of getting married, singing and presenting all led to this and I love it.